Typography on the web is going from strength to strength. All web browsers proudly boast their typographic capabilities as CSS 3 continues to evolve & stabilise. We’ve seen the arrival of some fantastic fonts specifically optimised for the screen, not to mention some highly advanced displays. This talk will use real world examples and a little code to get your typographic skills right up to the cutting edge of what is practical and desirable on the web right now. You'll learn the tricky decisions around font choice and font pairing, concentrating on both practicalities and aesthetics. Typography has an important part to play within responsive design - this will be explored too. The typographic power of CSS 3 is still woefully underused - you'll learn the tricks highly skilled typographers have been using for decades and see them applied to the web. As designers we need to keep pushing forward the role and quality of typography on the web. This talk aims to help you do just that. Richard has a deep love and fascination for typography. He created Clearleft’s Fontdeck web service, in partnership with OmniTI. As a self-appointed web typography evangelist, Richard is chief organiser of Clearleft’s annual Ampersand web typography conference. He also put together webtypography.net which translates Bringhurst’s typographic guidelines into CSS. 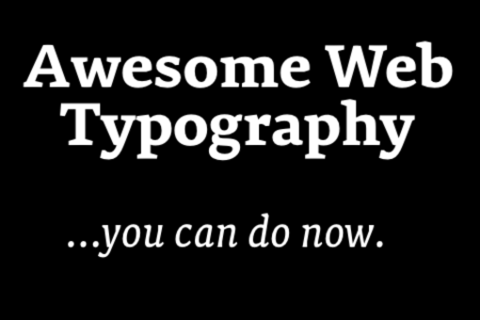 He has a web typography book in the works with Five Simple Steps. Richard is a member of the IxDA, London IA group and ATypI. He has spoken at numerous conferences on prototyping and typography, including An Event Apart, UIE’s Web App Summit and UX London.